As aviation regulators around the world actively work to establish guidelines for the safe integration of UAS into our airspace, Global Aerospace is at the forefront of insuring this rapidly expanding industry. We are providing industry-leading products and services for all areas of the drone industry including operators, manufacturers and all companies in the risk chain. Additionally, we are pioneering new and innovative ways to ensure that the UAS industry is able to access insurance in efficient and cost effective ways. While the basic risk profile and insurance requirements for UAS are shared with piloted aircraft, there are important differences in the risks associated with developing and operating this new technology. Our team of underwriters has been trained to understand these differences and to assist in developing the proper drone insurance coverage for your exposures. Global Aerospace provides insurance policies that are specifically designed for UAS and protect for the entire system including Payload and Ground Equipment. Furthermore, coverage can be obtained to include Invasion of Privacy risks. 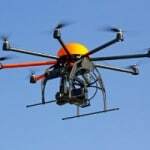 Since 2015, Global Aerospace has witnessed the staggering increase in the use of drones. 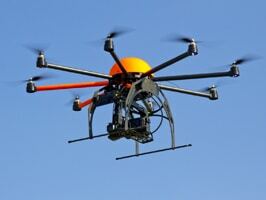 The commercial use of UAS continues to increase and drone manufacturers and start-ups are fighting for market share. It is likely that we will see greater public acceptance of drones, further exploration into flights beyond visual line of sight (BVLOS) and the increasing need for professional insurance. Verifly provides on-demand drone insurance starting at $10/hour through a simple, easy-to-use app for recreational and commercial users. The UAS online portal is designed to provide drone owners and operators the ability to quickly and efficiently purchase an annual policy online and pay security via credit card. The portal is available via affiliated producers. Register your Drone in the U.S.